Though Hoyle actually intended this as an argument against abiogenesis, anyone who is in an unhappy marriage will be unable to identify with this analogy. As much as a couple might want happiness and even possess certain keys to each other's joy, if they don't identify and consciously select the bits and pieces that make for a good relationship and discard the junk, marital bliss becomes as elusive as pieces of a plane assembling themselves in the random motion of a whirlwind. The following list applies to both husband and wife, as it focuses on responsibility and accountability; two ingredients that are key to a successful marriage and relationship. Making other things your top priority: E.g, work, phone, friends, sports, children etc when these things take time that could be spent nurturing your relationship. It's a red flag. Lack of affection: Hand holding, hugs, cuddling and physical tenderness is not only intimate and seductive, but it's a glue that helps keep the two of you close. The absence of affection is usually a symptom of a deeper issue. Dishonesty: It's hard to trust someone who has deceived, misled or betrayed you. Honesty is a major pillar in any relationship. Stone walling: Rather than addressing what bothers you, you wall off and stay that way. Being defensive: It becomes increasingly difficult for your mate to say anything to you that you don't want to hear so he/she mirrors you and becomes defensive also or discouraged and consequently complacent. Being overly critical and argumentative: It makes you annoying and difficult to be around. Being resentful, angry or hostile too much of the time. people will want to avoid you. Unwillingness to be accountable for your behaviour - or feeling self-justified and righteous that you seldom think you owe an apology for your hurtful, insensitive or demeaning words or behavior. Being a control freak: No self respecting adult wants to be controlled. Infidelity or betrayal: This is the worst method ever to tell your partner you're unhappy because once trust is ruptured, it is extremely difficult to recapture. You also, inadvertently, invite a revenge affair. Having low trust: It's very hard to be with someone who isn't willing to offer you benefit of the doubt or who sees your motives as suspicious in every circumstance. Poor listening skills: most people talk too much about things that don't matter and listen with a genuine desire to understand way too little. Not treating as important that which is important to your partner. Birds do not hatch out of dinosaur eggs and monkeys do not give birth to humans. Rather each produces after its kind, just as the Almighty decreed. 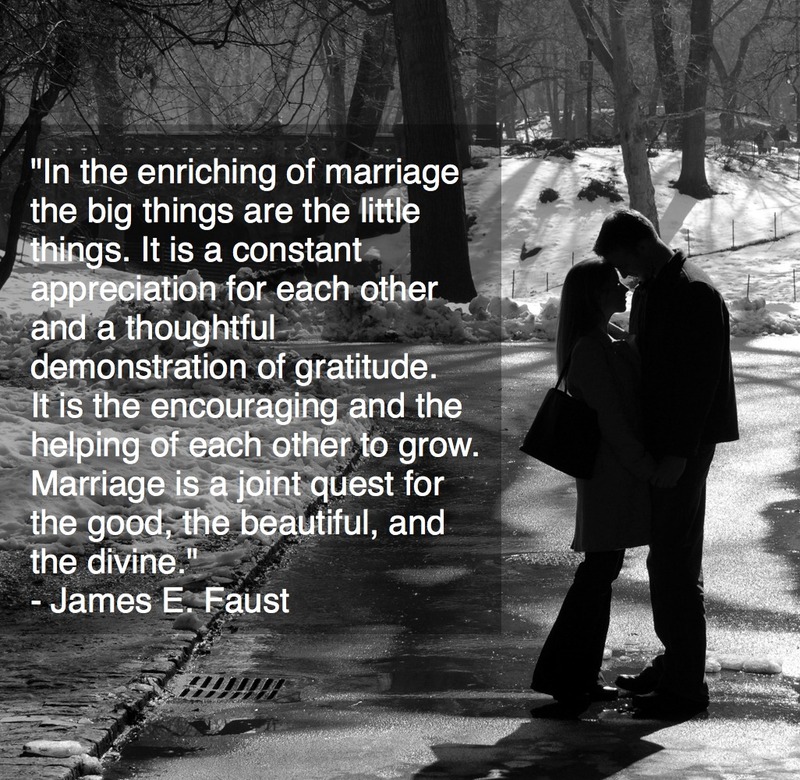 As a result, whatever we put into our marriage is what we should expect to grow over time.